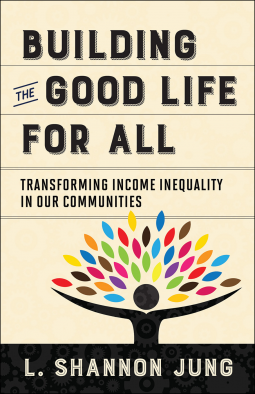 In Building the Good Life for All, L. Shannon Jung explores four strategies for mutual flourishing: charity, self-help, cultural value formation, and government action. Rather than theorizing on the causes of people's poverty, the chapters demonstrate how these transformational strategies work and how others can participate in them. Discussion questions with each chapter help groups process what they are learning and how they can apply these strategies personally and in their community. Designed to be read and discussed in seven sessions, this book encourages the social ministry of churches and the community development of neighborhoods. Churches and community groups will find themselves revitalized through this study and through enacting its strategies to help their neighbors.